Home / blog / Termites, Mice, and Everything NOT Nice! You may not be alone in your home. Little critters are probably lurking in every nook and cranny of your house. They might be hiding in your basement, having a feast in your kitchen or a picnic in your garden. Don’t think that because the temperature drops, pests are hibernating. While it’s true that many pests are hibernating, some are still busy raiding your kitchen for bread crumbs. Other pests might take refuge from cold at the comfort of your home. One of the pests you should be wary of is the termite. There are three major kinds of termites in the United States. These are the dampwood, drywood, and subterranean. Dampwood termites commonly live in heavily forested areas of the country as they prefer wet wood, while drywood termites prefer extremely dry wood. Subterranean termites require moist environments, live mainly in the soil and are the most destructive species. Termites are not easy to control. It needs an expert to handle and remove them completely from your home. It’s not advisable to DIY termite removal. You should get experts to do the job. Another not so nice guests are mice. 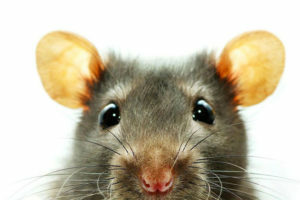 Unfortunately, rats and mice live wherever humans live. They can find solace from cold in the warmth of your home. These rodents have a remarkable ability to adapt and survive. They can also fit in small cracks and holes that’s why they are hard to keep away from home. There are baits and traps that you can use to eliminate them. Aside from mice and termites, other pests that can bother you are ants and bed bugs. If DIY won’t work, trust Parsons Pest Control to help you manage these pests.